Looking for an incredible beach getaway? This 1 bedroom family suite features gorgeous views of the lagoon-style pool and breathtaking beach scenes from the 6th floor. This ‘home away from home is beautifully decorated with chic tropical décor and comfortable high-end furnishings. The open-concept layout provides plenty of space for the entire family to relax. Located in the center of the building, this unit is also easily accessible from the parking deck where you are provided with a reserved parking spot. The view is unforgettable from the private balcony furnished with a table and chairs for outdoor dining. This beachfront paradise is equipped to comfortably accommodate 6 guests. • Convenient reserved parking spot located on the 6th floor. Unfortunately we had to change condos due to construction. Overall the shores of panama were okay. Parking is terrible!!!!!!! Elevators very slow! Would recommend staying somewhere else. Thank you fo rsharing your experience with Book That Condo, we apologize for the inconvenience switching condos caused. We appreciate your comments about the resort that need work and we are looking forward to having an opportunity to turn your experience around. First off the room was great - we had one issue with the shower head in the spare bath room but maintanence came and fixed it fairly quickly. NOW, the condo itself on the other hand has gone down tramendously. We have stayed at this condo probably 5-6 times and this is the worse I have seen it. The water fall dolphins were not spraying water, the hot tub was roped off, there were no kid activities like there have been in years past for this weekend. The store in the entrance closed at like 6 or 7 on one day. But yet this is a resort. We could smell weed everywhere. This used to be a family environment and it is definetly not now. This will be our last time for Shores of Panama. Again the room was great but the condo itself has really went down as a whole. Thank you for your review, we are disappointed that you had so many unfortunate events take place at the Resort during your stay. We will do our best to relay this feedback to the resort staff in an attempt to make this better for future stays! We would love to welcome you back as a return guests, please, give us a call when you are ready to plan your stay! We had a great time at this resort. This is the third time being here and we will definitely be back. This condo was great, everything was very clean. Really enjoyed our time here! The parking spot was great!!! Brandon, we are so happy you enjoyed your stay at Shores of Panama 616 and the convenience of having a reserved parking spot! Please, give us a call when you are ready to book your return. Room was very nice! Pool was awesome! Parking garage was the worst ever! Probably won’t book here again just due to the parking. When we first arrived, someone was parked in our spot. Book that Condo said to tell the security, the security said to tell Book that Condo. So until the person moved their car, we had to find a spot that wasn’t reserved, which of course was no where near our condo. Drunks causing scenes in the parking garage and was scaring the kids. Security needs to focus more on the parking garage and less on what kind of balls are being played with in the pool. Thank you for your review, we apologize for the mix up that occurred during your parking process. Having a reserved parking spot is a very important amenity when renting this condo, we understand the inconvenience this caused and we are very sorry. 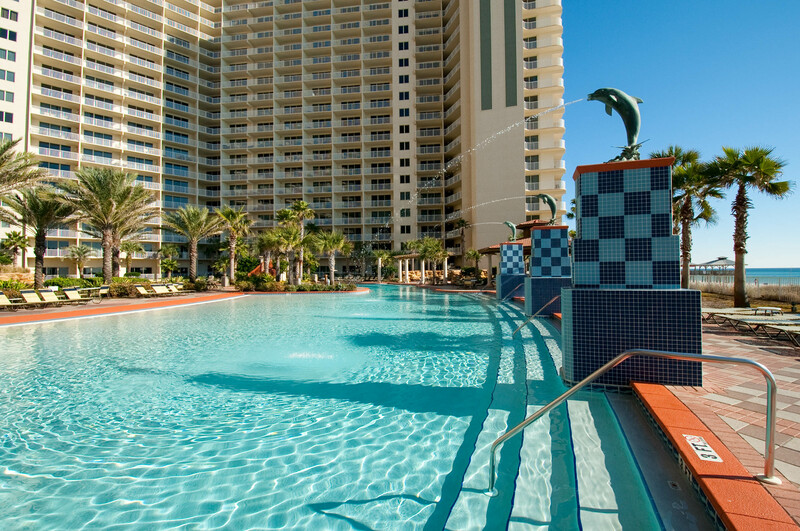 We hope that you give Book That Condo a call when you are planning your return visit to the Gulf, we would love to welcome you back. Overall our experience at this unit was great. 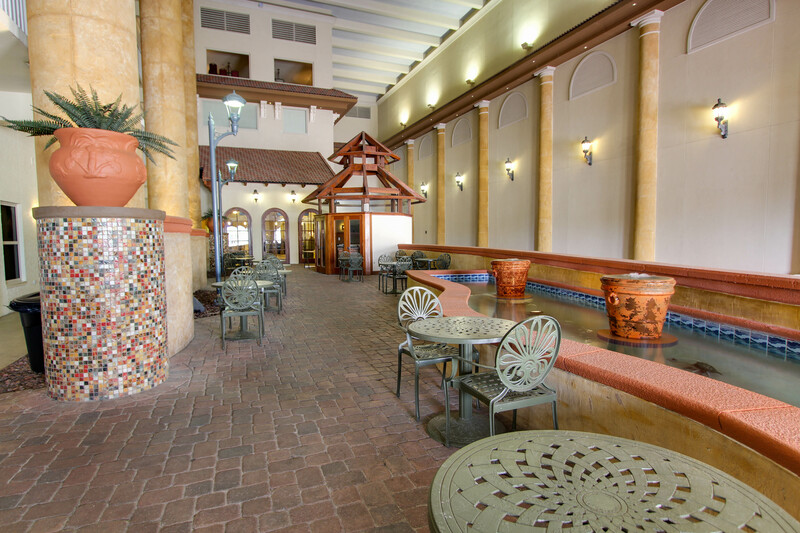 It was clean, well kept with a nice view of the pool and the gulf. We only had a couple small complaints that were inconveniences to more accurate. No small wash rags provide besides the one in each bathroom which were designated for make up removal, but if that was really the only thing we didn't like about the unit which says a lot. The other issue was with the elevators, but that is more of a facility issue. They are not readily available and you will wait for a long time. Luckily the parking space is on the same level as the unit so that helps to make up for the elevators. The pool was really nice and we like that the security staff had a strong presence which kept the pool enjoyable and safe for families. The walk to the beach was short and even for the busy holiday weekend the area wasn't over crowded. We would definitely stay here again. Hi Scott! We are so glad that your family had a great time and found the condo to be clean and well kept. We appreciate your feedback and thank you for sharing your review with us. We hope to see you again soon! Loved the condo. Clean, comfortable beds, linens provided like you were staying in a hotel. Perfect Location. Great view of the pool and beach. I brought my teenagers with their friends. This room has a twin bunk bed, pull out couch and king. The couches have been updated and are not the ones in the picutre. We didn't get to use any of the FREE activities since the weather was bad with Hurricane Nate. We really did enjoy our stay though. Would recommend and come back. Thank you for taking the time to share your experience with Book That Condo, we are so happy to read that you enjoyed your weekend getaway! We will make sure to get new photos posted of the couches! Thank you for bringing that to our attention. 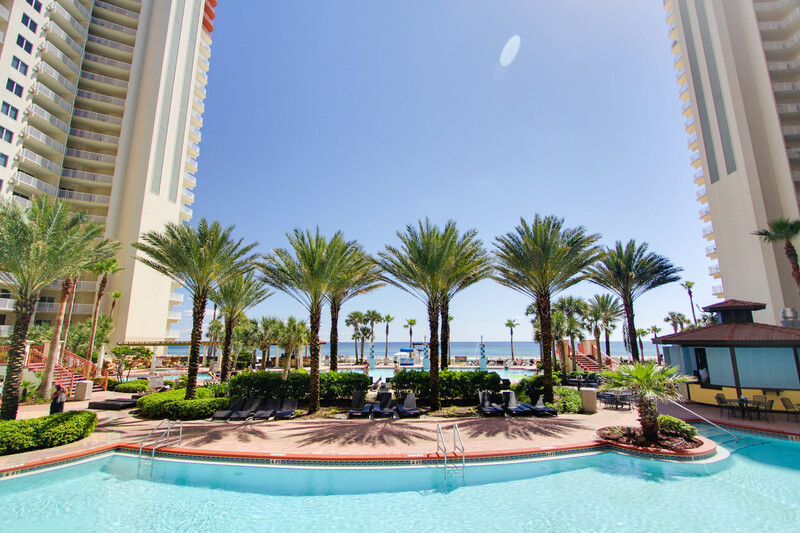 Give us a call when you are planning your next vacation in Panama City Beach, we would love to welcome you back with a special discount. Enjoyed every minute of our stay in 616! Very relaxing and beautiful view! The reps at Book That Condo were amazing. I booked my room through another company originally and my entire reservation was incorrect. Shawn at Book That Condo helped me get a room at 2 in the morning after driving 4 hours from Georgia to Florida! Beautiful room with an amazing view! The "Book that Condo" crew are the BEST! They are dedicated to making sure your stay with them meets your satisfaction. Everything was perfect and beautiful! Hated the elevators... But everything else was amazing as always at the shores of Panama ?? Overall, the condo was great. Book That Condo was helpful on a few things, but never did get us a set of frying pans, so we had to cook eggs each morning in a crooked and scratched up sauce pan. As for the complex, which isn't the management companies responsibility by any means, I would not stay at Shores of Panama ever again. We didn't have a good view and the complex is just odd. The parking deck is a nightmare, the bands are a pain and the whole place feels like a prison. We had a great time, but I wouldn't visit here again. My family and I had a great time. Room was very clean when we got there. Had our room clean early and called to tell us.. The hotel is very nice. The only issue we had was the wifi. They had a very nice smart tv but Internet was in and out so we could not use Netflix for the kids. But we would stay there again in a heart beat. Just upgrade internet wifi. People have a lot of electronics now a days. Very nice condo, nice decor, great location, exceptionally close to reserved parking spot. IMPORTANT the sliding door to the patio needs matenience, if my husband was not there I would not be able to open it. Love the music played over the pool area during the day! I enjoyed for the most part, but I was frustrated with Book that Condo's unwillingness to be flexible what so ever with the payment. They required it to be all on one card, including a $500 security deposit (Which is entirely too much). They also were unwilling to assist us with an online check in, but forced us to come to this hole in the wall place with 50 other people inside to "check in" which was just a meeting full of threats and empty statements. The lady who did the check in was rude. Overall the experience was satisfactory, but these are a few of the things that I believe Book That Condo needs to work on. It is a lovely condo, nicely furnished and well positioned. We enjoyed our stay and would recommend. It is very clean, easy to access and has a great big balcony. It is also conveniently located across from Walmart, walking distance! 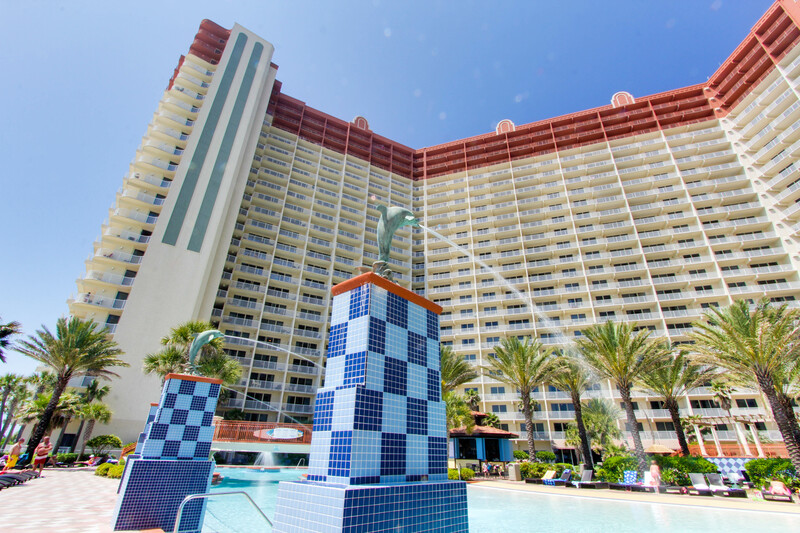 The condo is in good shape and in a great location for pool and beach activity. 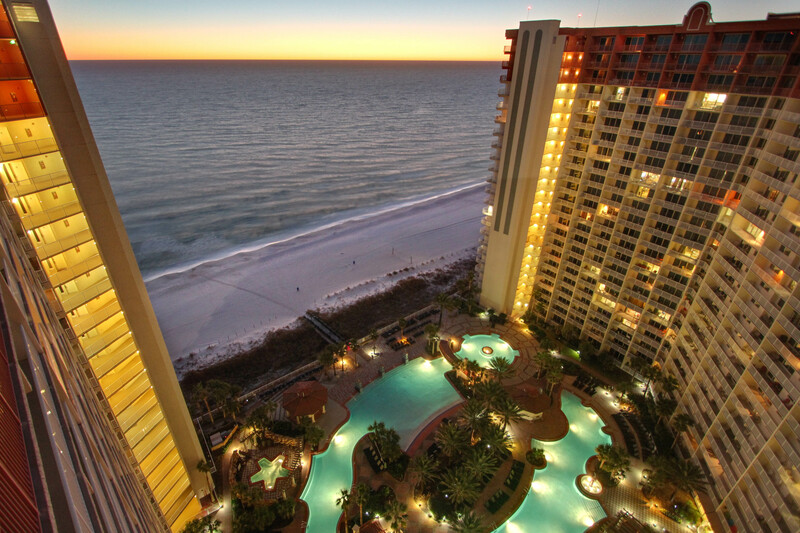 Going directly to the condo with the keypad code is wonderful to bypass the check-in crowd. 6th floor is good to avoid the elevator lines. Slow internet connection & poor phone reception (AT&T). The big negative is the parking garage -- a nightmare. Know what your getting into before you arrive. Very, very tight parking spots. If you are in a large vehicle, it will only be worse. Everything was perfect. My only complaint is that the receptionist in the lobby of the property weren't very friendly. Only wi-fi available was down in the lobby. Property manager was very pleasant on the phone and talked us through a few door codes and wi-fi passwords (unit wi-fi would connect, but there was no internet access anywhere in the building). My only issue is lack of response to emails, though they are very pleasant on the telephone. 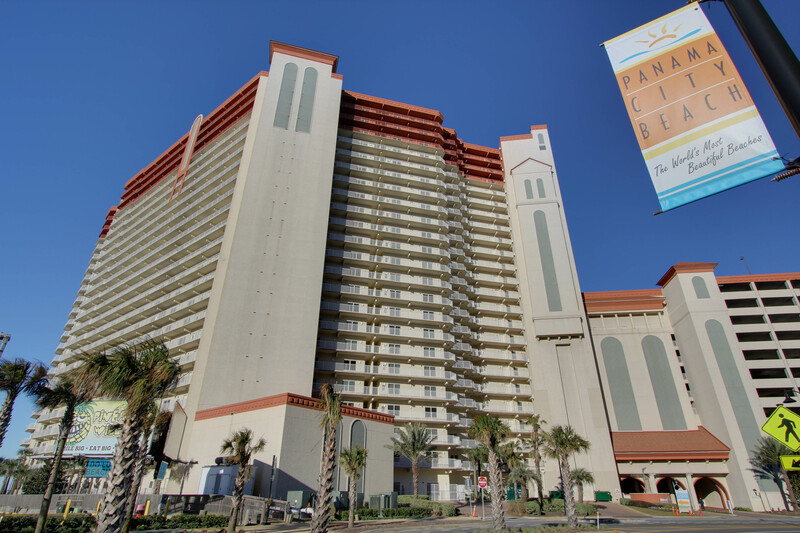 Unit itself was very nice, well furnished, and had a lovely view of the pool and Gulf. Plenty of room, though it was just two of us. Condo was very nice and very well maintained. 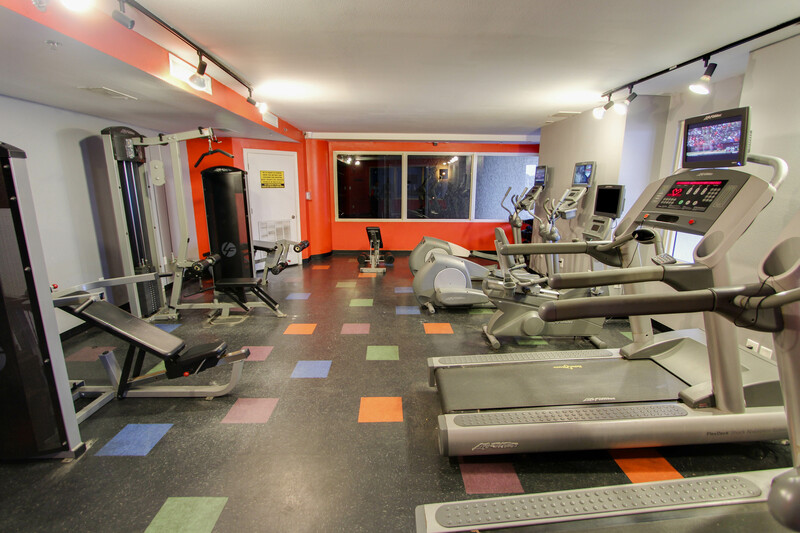 Easy access to parking garage and elevators. Would definitely recommend! Location was perfect (center of resort with beautiful tropical view of resort and great view of the ocean). Martha Stewart Swivel rocker chairs on balcony were very comfortable. 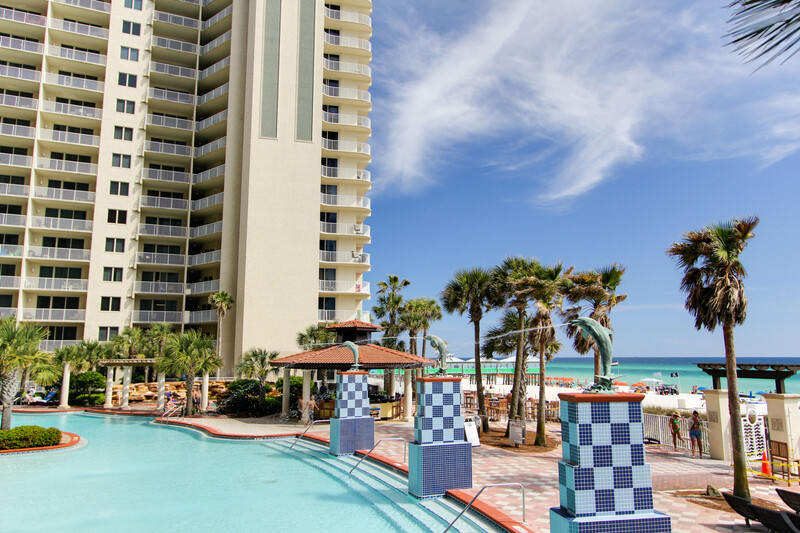 Close proximity to all the attractions on the East end of PCB. Stayed at Splash year before last (2011) and although condo was very nice Shores of Panama was definitely an upgrade. 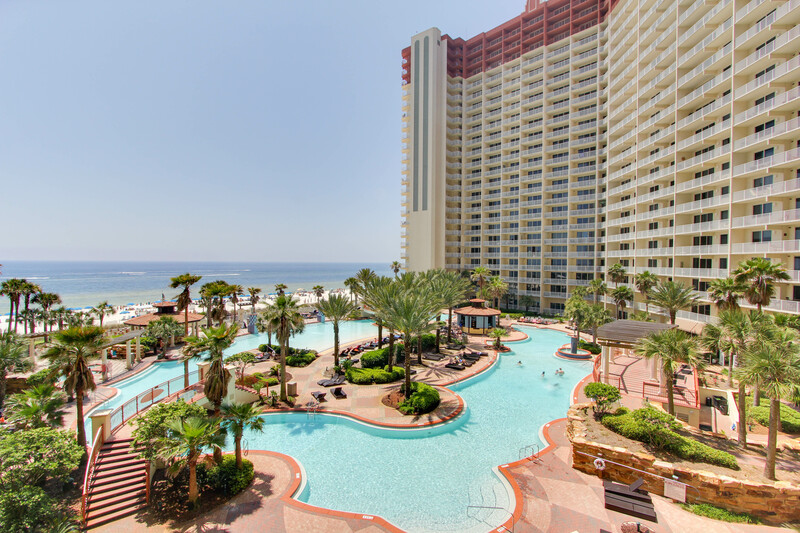 The search is over for our Paradise in PCB!! Thank you for a wonderful vacation. Our family absolutely loved it!! Will definitely be staying in the condo again! The experience was great from the start. Kyle in Book That Condo reservations was very helpful. 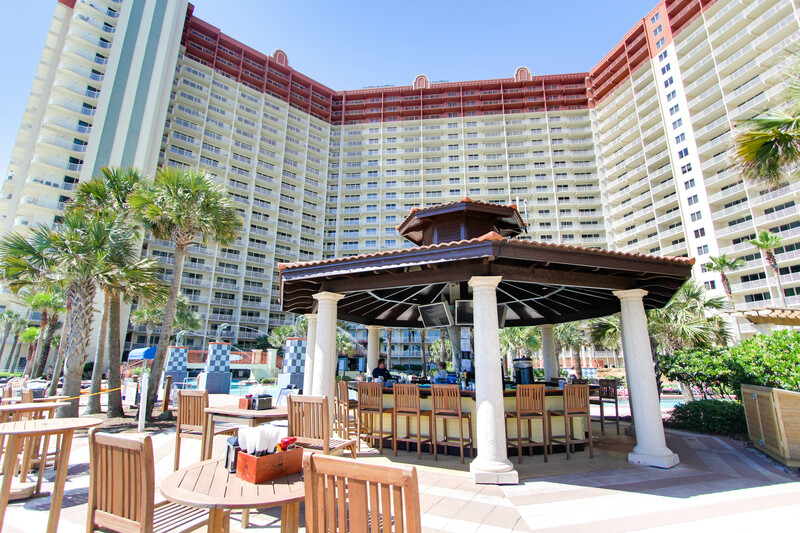 The staff (from the driveway attendants, check-in clerks, housekeeping, pool/wait staff, etc) at Shores of Panama were professional, helpful, and responsive. 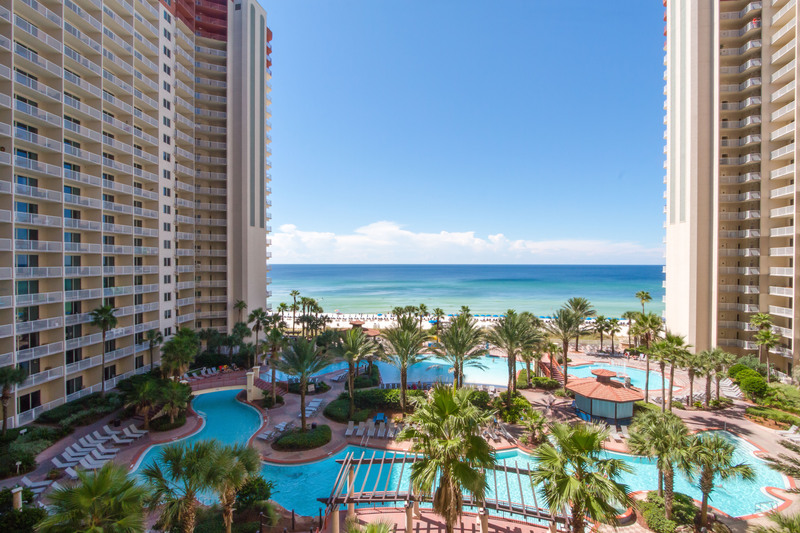 This was our first extended trip to PCB, so we cannot compare SOP to other area complexes, but these are our initial impressions. The public areas are clean, secure, and well maintained. For a summer vacation in a densely tourist populated beach city, we found SOP to be family-friendly. Unit 616 is outstanding. It is clean, comfortable, and nicely appointed. The carpet in the living area is a nice touch, and although the bunkroom does not have a door, it was "private enough" for our two sons. It was a bonus for us that the parking space was so close to the unit, so move-in and check-out was a breeze. Living on the sixth floor also made it convenient for us to use the stairs when elevator traffic was at its heaviest. And as trivial as it may seem, we appreciated the keypad entry system that kept us from worrying about who had a key/card. 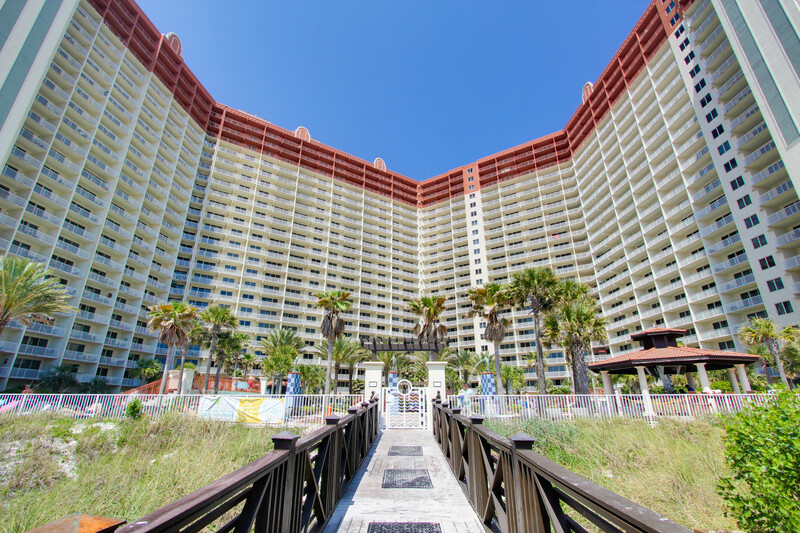 We highly recommend Unit 616 for people interested in staying at Shores of Panama. We have stayed at Shores since it originally open about 10 times. We come down twice a year and there have been very few disappointments about the facility. I will have to say this was the "best dollar value" unit we have stayed in. The unit was very clean and had several upgrades. The carpet was very thick and showed no tracks. The furniture is above average. The décor is very nice and theme oriented. Kitchen was well stocked with everything for eating meals in. Bed has very comfortable with upgraded mattress. Sheets, blankets and towels are thick and soft. Oversized balcony with premium view. The owners have gone the extra mile to equip their unit with high quality items not cheap stuff that just meets the minimum requirements. Excellent stay. Will be first choice when return. Thank you for A GREAT VACATION!! VOL4LIFE. Nice resort - but beware check in time & resort fee. Overall, the resort & room were very nice; however, when my daughter went down to the front desk to pay the resort fee for access to the pool & beach, the employee tried to charge her the $25 per person rather than per room. I had to call the condo management company and send my husband down to straighten it out. Also, guests should know that check in time is "after 4 pm" - this means you could be checking in at 4 or ANYTIME AFTER 4 - so don't count on checking in at any particular time! They'll call you when your room is ready - that's the only check-in time guarantee you'll get. Be prepared for this - we weren't.